The authors undertook this study to determine the effects of age, gender, and heart rate (HR) on the results of cardiac autonomic function tests for measuring heart rate variability (HRV) in a large sample of healthy subjects (n=309). Conventional tests (deep breathing, maximum/minimum 30∶15 ratio), and a standardized 5-minute resting study, including spectral analysis of HR, were used. The main findings included (1) the indices of all tests, except for the ratio of the low- (LF) to high-frequency (HF) spectral power (LF/HF ratio) and HR itself, are inversely related to age in both sexes; (2) the 5-minute spectral bands (except for the LF/HF ratio), the variation coefficient, expiratory-inspiratory ratio during deep breathing, and the maximum/minimum 30∶15 ratio are independent of HR; (3) women up to the age of 55 years have a higher resting HR compared with men; (4) young and middleaged women show a significantly lower LF power and LF/HF ratio compared with age-matched men, whereas no significant gender differences are observed in the absolute HF power. 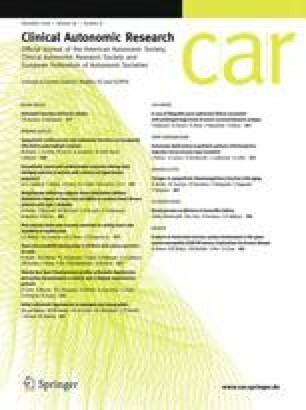 The authors computed age- and gender-dependent normal values for each of the HRV indices studied here and discuss the clinical consequences arising from gender differences in HRV.